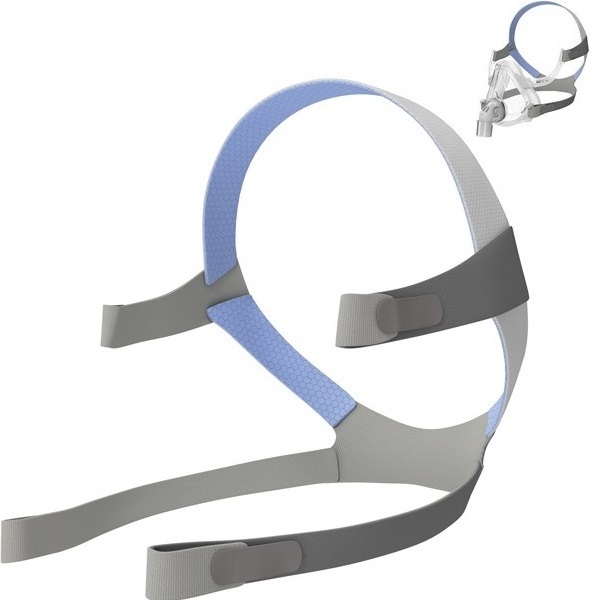 The ResMed AirFit F10 Headgear is designed to deliver the comfort and reliability patients have grown to look for in Resmed traditional full face masks, but in a compact size. Your line of sight isn’t affected when you’re wearing it, leaving you free to wear your glasses, read or watch TV in bed with your mask on. This is a replacement for the headgear only and does not include a mask or pillow. Superior Comfort – Slim headgear straps offer maximum comfort and fewer facial marks. Clear View – Your line of sight isn’t affected when wearing the headgear, so you can wear your glasses, read or watch TV in bed while receiving therapy. Ease Of Use – With just four parts, the AirFit F10 Headgear is simple to put on, easy to remove and convenient to clean.